The best whiskey in Seattle, acclaimed by critics around the country, gets released this week. Also, one of the biggest cider fests on the West Coast takes over South Lake Union for two days. Quietly, the apple state has grown into a major cider hub in the past eight years (with about three dozen cider houses and counting). 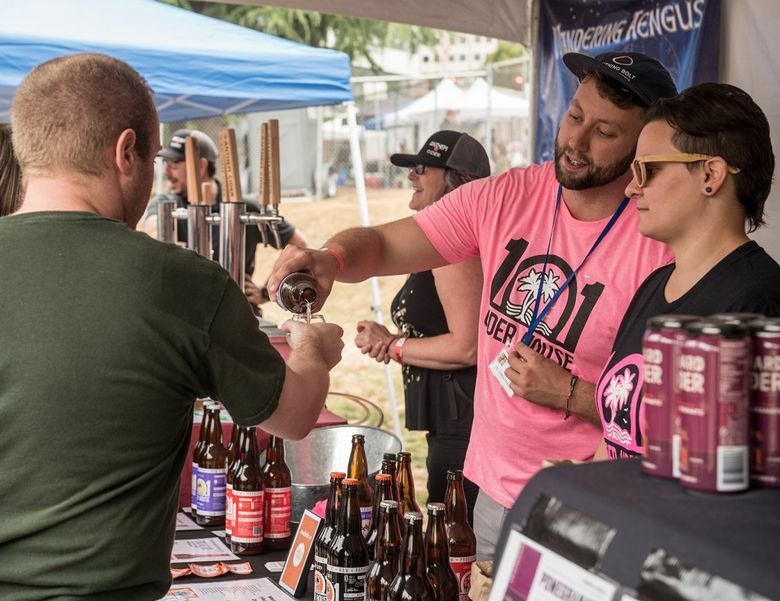 One of the biggest events of its kind in the West Coast, Cider Summit draws many of the top artisanal producers in Washington, Oregon and California. But the gold standard remains the European hard ciders from Spain and France. Check them out at this two-day festival in South Lake Union. I recall when those barnyard-smelling ciders were such a turnoff to Seattleites. Now, partly thanks to the popularity of Brett beers that have the same funky profile, we can’t get enough of the dry European ciders. The most acclaimed whiskey in Washington state, the Garryana single malt from Westland Distillery will be released Sept. 8 at the distillery’s Sodo tasting room. The release party (noon-4 p.m.) includes live entertainment and free food from Wood Shop BBQ. Garryana single malt is aged in local white oak barrels to give it a distinctive rich sweetness. Westland is not using local barrels just for the sake of boasting the farm-to-table mantra. Whiskey critics around the country have been raving about Garryana. The Garryana costs $149.99 a bottle, but you can sample the special release at the distillery as part of a flight of four different Westland whiskeys for $10. Also, Westland built a modish, industrial tasting room and offers cocktails (made with its line of whiskey, of course). One of the most sought-after sour beers will be released on Sept. 22 at this Ballard brewery, though, if the last release is any indication, you will likely have to get there when the doors open at 11 a.m. to nab a bottle. Reuben’s first sour beer, which medaled at the North American Beer Awards, sold out within two hours when it debuted in July. Its September release, a guava sour aged a year in oak, should sell out just as fast now that the word is out.